Have you ever picked one word to be your focus or driving force for the year? 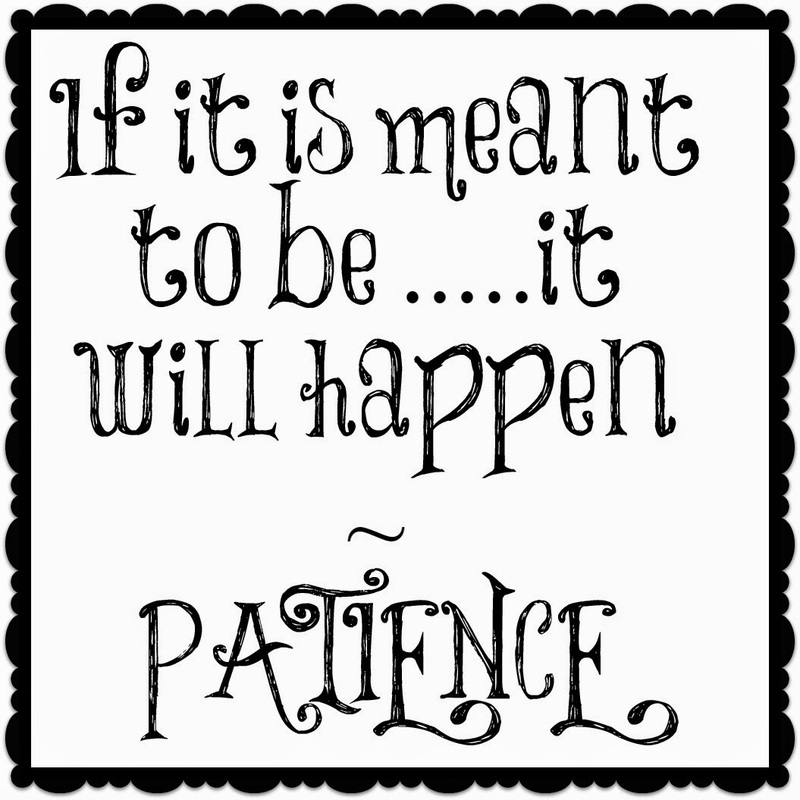 My WORD for 2015 is PATIENCE. It has taken me a few years but I finally think I understand. Patience is key to happiness. My goal for 2015 is to be more patient with everything in my life. I will need consistent reminding to slow down breath and wait ~ "If it is meant to be it will happen." is what I will be telling my self for 2015. By having PATIENCE as my focus for 2015 I hope to slow down, relax, wait and accept life ~ while being content in the fact that things happen for a reason. If you picked a word for 2015 - please let me know! I have noticed a lot of people have picked a word for 2015 instead of a New Year resolution! Which I guess in a way go hand in hand. My word(s) for the year would have to be being positive! It's really hard to succeed at anything when you tend to be negative about everything. So this year I am trying to be more positive! Patience is a great word for the year! I know i could focus on being more patient this year. Patience is a great word! I could use some more of it as a mom of three! It's a constant battle. I am still working on my word. It's so hard to pick just one!